After you finish reading this article, you will have discovered some of the 50 Startups you should look out for in 2017 around the world. Some of them are new and upcoming, and others have already established themselves as successful startups. This list consist of some Popular Startups like DJI from China, Hooked from USA, Ola from India and many more. The startups in this list are in no particular order and we tried to include as many countries as we could. We hope you enjoy. 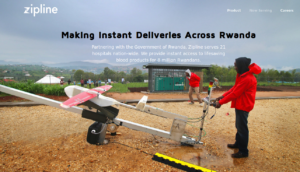 Zipline is a Silicon Valley-based logistics company that designs, manufactures, and operates small robot aircraft to deliver essential medical products. With Zipline, hard-to-reach communities can have fast, reliable, and affordable access to lifesaving medical products like blood, vaccines, and essential medicines, regardless of terrain or road infrastructure. Instant Deliveries at National Scale. More than two billion people lack adequate access to essential medical products, such as blood and vaccines, due to challenging terrain and gaps in infrastructure. Zipline improves access to these supplies by flying over impassable mountains and washed-out roads, delivering directly to clinics. It’s a magically simple system that just works. Get Fit, Eat Better, and Lose Weight with HealthifyMe, India’s premium Calorie Counter and Weight Loss Coach. Awarded among the Best Apps on Google Play for 2 years in a row, HealthifyMe gives you access to India’s Largest Calorie Counter with a large database of over 100,000 Indian foods to help you track your meals along with your nutritional intake on a daily basis. The app also equips you with your very own fitness, nutrition and yoga coaches who will give you a personalized workout and diet plan to suit your fitness needs. Whether your goal is weight loss, weight gain or to stay fit, HealthifyMe is your complete fitness app. 60% of HealthifyMe’s premium users are experiencing visible changes, and lose up to 2kg in the first month, courtesy continuous monitoring coupled with personal coaching from India’s top nutritionists and fitness trainers. Look Live Media is the publisher of the mobile app Look. 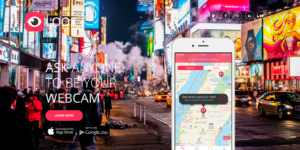 Look is a mobile app that lets any user request a 20 sec livestream from any other user, based on the streamer’s location. It’s like a global live webcam service, provided by the users themselves. Share what’s going on around you and grant instant happiness to your peers in the Look community. Accept the stream request with an easy click and go live across the globe. In this App the most awesome streams will be saved in the app for everyone to see. Travel Jar is an app that helps track your treks in a live map and share pictures and updates about your travels. It also allows you to make short movies of the trip by adding different features such as pictures, moods, videos, locations, and so on. Travel Jar works in a similar space as LiveTrekker– an app that makes live maps of your treks – and Trip Cast, which lets you share pictures and post updates about your travel with members of your group. However, what Travel Jar also does is to allow you to make short movies of the trip by adding different features such as pictures, moods, videos, locations, and so on. At present, the Travel Jar app in beta, has less than 1,000 users. It is likely to launch for public in the next few months. HeySuccess is a smart platform that helps students and recent graduates find international opportunities abroad also assists companies, organizations, universities, and governments to recruit the globe’s brightest talent. HeySuccess.com provides students and graduates around the world with access to the globe’s biggest hub of student opportunities and international experiences; and on the other hand, it allows companies access to the largest hub of talented students and graduates. It aggregates thousands of active international student platforms from several hundred sources and enables users to easily and quickly search and filter them. HeySuccess was scouted by the UK Trade & Investment and was brought to London as winners of the UK Government Sirius Programme in November 2014. Hooked is an app for reading bite-sized stories in text message form is rapidly climbing the App Store charts. The app initially launched in 2015, but it started growing quickly last fall. Now, it’s risen to the top of Apple’s top free apps chart, surpassing apps like Bitmoji, Instagram, and Snapchat. In fact, according to app analyst Sensor Tower, Hooked’s total downloads grew from about 336,400 in October 2016 to 2.22 million in March 2017 — which equates to a 560% jump. Take Me Tour is Thailand’s largest online marketplace for local tours. The platform allows you to book local tours in Thailand with a local “expert” (somebody who is from the area and has a fair amount of knowledge about the place you’re looking to explore). Take MeTour connects the local tour guides who curate their own trips with tourists who want a more local experience. With 7,500 registered local experts in their system, spread across 32 cities, Take Me Tour is a great way to connect with the local people in a new country while sightseeing. The obvious question here is how are experts chosen. Take Me Tour verifies the local experts based on their ID, phone number, social media presence, and their criminal record. Once approved and added into their database, crowdsourced customer reviews vouch for the quality of the local experts. Next time you’re planning to discover a new place in Thailand, it might just be worth your time to check out these guys, connect with the locals, and create new memories. A little startup named Dot is aiming to make a big impact on a marginalized community. Its affordable braille smartwatch for the vision impaired and deaf-blind is finally slated to hit the global market early this year. After catching a wave of popularity from appearing on a Korean “Shark Tank”-like startup reality show circa 2015, the team has been fine-tuning design of the Dot Watch and is ready to retail it for $290 starting in London. Startup Dot, internally and externally, is already a popular company to develop a Braille Smart Watch, ‘Dot Watch,’ and to settle out the digital divide for the visually impaired of 253,000 in the domestic (based upon the standard of Korean Association of the Impaired) and 280.05 million all over the world. The founding purpose of ‘Dot Watch’ is to assist the R&D for the solution of the original problem of the size, price and functions of the existing Braille device for the visually impaired, to resolve grievances and disputes due to the unemployment of more than 90% of the impaired, and to make them become a member of society. BookMeBus is one of the leading bus ticket booking systems in Cambodia. They are one of the most successful startups in Cambodia, and have been featured in several conferences, online articles. They offer online ticketing for bus travelers mainly in Cambodia. BookMeBus was conceptualized in 2013, and has since then grown not only in popularity but also in size. While founder, Langda, was the initial employee in his start up, he has now approximately 10 people under his employ. With this, Langda hopes that the growth will be steady, despite its detractors. For a start-up, BookMeBus not only helps travelers, but also young, aspiring Cambodians to believe in their capabilities. And it has opened more job opportunities for the youth as well. As BookMeBus continues to grow, more and more bus companies are looking to support the start-up and work together in providing the best travel experience that travelers can hope for, which all starts with purchasing the bus tickets. Dà-Jiāng Innovations Science and Technology Co., Ltd is a Chinese technology company headquartered in Shenzhen, Guangdong. It manufactures unmanned aerial vehicles (UAV), also known as drones, for aerial photography and videography, gimbals, flight platforms, cameras, propulsion systems, camera stabilizers, and flight controllers. DJI benefits from direct access to the suppliers, raw materials, and young, creative talent pool necessary for sustained success. Drawing on these resources, we have grown from a single small office in 2006 to a global workforce of over 6,000. Our offices can now be found in the United States, Germany, the Netherlands, Japan, Beijing and Hong Kong. As a privately owned and operated company, DJI focuses on our own vision, supporting creative, commercial, and nonprofit applications of our technology. Founded in 2014 by Silicon Valley entrepreneurs Ron Hose and Runar Petursson, Coins is Southeast Asia’s leading mobile block chain-enabled platform that enables anyone, including those without bank accounts, to easily access financial services directly from their phone. Using Coins, customers have access to a mobile wallet and services such as remittances, airtime, bill payments, and online shopping at over 100,000 merchants who accept digital currency. Operating in the Philippines and Thailand, Coins’ mission is to increase financial inclusion by delivering financial services directly to people through their mobile phones. Shyp was founded in 2013 by Kevin Gibbon, who faced the challenges of shipping firsthand as an eBay Power Seller. The more his business grew, the more time he found himself spending on shipping rather than selling. As the costs and inefficiencies of shipping eroded his business, Kevin was forced to shut down his eBay shop, and, inspired by his experience, set out to build Shyp. Shyp made shipping easy, the original idea was simple: Shipping should be as easy as taking a photo. The full-service operation — including pickup, packaging, and low shipping rates started in San Francisco and soon expanded to New York, Los Angeles, and Chicago. Freee is cloud accounting software. Daily accounting as well as easier settlement and final declaration. Easy to do a journal entry, invoice creation and receipt management without knowledge of accounting and bookkeeping. You can use it regardless of corporate or individual business owner. Easy with book, swipe booking. You can register journal entries of bank accounts and credit cards that you have automatically acquired by journal with one hand. With Freee receipts and invoices upload images taken with smartphones. Document management is also easier. Freee helps navigate the steps of the work until the final declaration, the flow of the final declaration and the guidance final return declaration. Just answer simple questions, automatically create a final return form. Even if you are the first person, declare the slakla final. Even white declaration and blue business declaration of the individual business owner can be done easily. From humble beginnings in a Danish basement in 2001, Just Eat has grown from an ambitious crew of 15, to a passionate team of more than 2,500 dedicated to our purpose to make food discovery exciting for everyone. We’ve created a world of choice and built a robust tech platform: working to bring together over 17 million customers with 67,000 restaurant partners serving everything from pizza to sushi, burgers to burritos. We’re super proud of what we’ve built, but the best is yet to come. Kostoom is an on-demand tailor service. You can choose from a variety of styles from its website, or upload pictures of the type of gown you want to make. Kostoom works with its network of trusted tailors and ships it back to you when ready. Kostoom is an application that provides convenience to fashion entrepreneurs, owners of brand-name clothing or fashionistas to make your product or your own clothes only dream of in the clutch. Kostoom as well as applications that help home sewers to get more sewing order at a decent price. Founder Putry Yuli says she’s been in the garment business for 20 years. The business model makes clever use of an underutilized resource in Indonesia – freelance tailors who work from home or small shops. Putry knows the ones that are good at their trade and directs orders to whoever has free capacity. 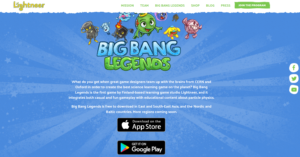 Lightneer is a learning game studio dedicated to creating next generation learning games. In order to succeed, we believe learning games need to be as much fun to play as the best games out there. They want to design their learning games so that, in addition to teaching a lot about amazing topics like physics, new languages, history and whatever else, they stand on their own when compared to the best games of the world. Our team and founders are gaming veterans with backgrounds at industry leaders like Rovio, Gameloft, Digital Chocolate and Eidos. Their scientific advisors are leaders in their academic fields at institutions such as CERN, Harvard University and the University of Helsinki. Lightneer want to put this unique combination of game design talent and scientific genius to play to create the world’s best learning games. FreightHub is a digital asset-free freight forwarding company located in Berlin. Freighthub are run by successful serial entrepreneurs whose ambition is to combine the best talent and technologies from the digital industry and the logistics sector. Freighthub ultimate goal is to create the best freight forwarding experience for Their global customers. They achieve this by leveraging state-of-the-art technology to provide seamless processes and best-in-class service. FreightHub revolutionizes international freight forwarding by digitizing processes, providing real-time insights and delivering transparency to its customers. FreightHub is a full-service freight forwarder that offers global FCL, LCL and air transportation, and we’re driven by technology and supported by a team of experienced logistics specialists. ProoV was created with a clear objective in mind – to simplify the complex way new technology is evaluated and adopted. With a market-network model, prooV puts the latest technologies and digital and social trends to use in an ecosystem specifically created for PoC success. Launched in 2016, Proov is a “pilot-as-a-service” company which is tearing down the barriers between slow-moving corporate behemoths and agile startups. An existing corporate can outline a problem that they’re facing and startups that have solutions for this problem pitch their ideas. Cofounders, Toby Olshanetsky (CEO) and Alexey Sapozhnikov (CTO), each have over 20 years of experience running PoCs, from both the enterprise and vendor side. They know first hand the pains that all parties involved in a PoC go through and have therefore made it their goal to redefine the PoC experience in its entirety. Shweproperty.com is the Myanmar real estate industry website – the best place to start your real estate search whether you are an investor, buying for own use, or looking for a place to rent. In Shweproperty, you can find thousands of properties for sale and rent with detailed information about each property, and photos. It’s an all-in-one real estate site with the most useful and timely information on real estate markets and trends to help you figure out exactly what, where and when to buy. Myanmar’s Real estate portal ShweProperty has over 60,000 home and apartment listings and over 350,000 visits per month. The startup claims they will focus on working closely with the nation’s top property developers and real estate agents. Discord is a small startup with a big vision: to build a next generation PC gaming company. Discord is a freeware proprietary VoIP application designed for gaming communities. Discord runs on Microsoft Windows, macOS, Android, iOS, Linux, and in a web browser. As of May 2017, Discord has over 45 million users. Founded by the team behind OpenFeint, They have grown services to more than 300,000,000 users and built the critically acclaimed MOBA Fates Forever. As a result, they have built the best all-in-one voice and text chat app for gamers that’s free, secure, and works on both desktop and phone. It’s called Discord. Fortunately, a lot of people love it. The company raised an additional $20 million USD in funding for the software in January 2016. Vault Dragon sells a software suite to help healthcare providers manage their operations better. It promises a future in which a patient’s medical record can be seamlessly transferred from clinic to clinic. The company has partnered with over 60 clinics, medical chains, and multinational corporations. Today, their healthcare solution is trusted by more than 60 healthcare institutions in Singapore, most of them using our platform to manage administrative and operational tasks. They have also digitized more than 700,000 unique patient records and are the first vertically integrated record company in Southeast Asia, offering end-to-end medical record solutions for doctors. From electronic record archival to case note, annotation, Vault Dragon offers it all. Eat the Dhaka traffic and get anywhere fast with on-demand motorbike rides from Pathao. Pathao is basically the Go-Jek of Bangladesh, it transports goods and people on two wheels. Users launch a request on the app, hop on the back seat of a two-wheeler, and get dropped at your destination for a fixed price. Timeslot delivery solves the most common issue of eCommerce business – getting the customers on time. All the Riders have been verified, not random people with bikes that they don’t know. They went through multiple phases of screening, training and tests. The startup also delivers over a thousand packages a day. Helpling is the leading online marketplace for home services outside the US. On the website or via the app, customers can book a vetted and insured service provider and gain back free time within a couple of clicks. For service providers, the innovative online service makes it easier than ever to find new clients and to manage when and where they want to work. Helpling was founded in early 2014 by Benedikt Franke and Philip Huffmann. Among its investors are Rocket Internet, Mangrove Capital, Lakestar, APACIG and Accel. Helpling currently offers its services in 9 countries: Australia, Germany, Italy, France, Ireland (hassle.com/ie), UK (hassle.com), UAE, the Netherlands and Singapore. WeFit is the first startup of its kind in the US$60 million Vietnamese market. The founder of WeFit believes that the startup can obtain 20% growth rate per annum. WeFit is believed to target beginners willing to pay high fees for physical training. WeFit now has 500 customers who pay fees and 150 units which are partners in Hanoi. The service is expected to be developed in HCMC in the time to come. WeFit application solution providers a new fitness workout in Vietnam. Just become a member of WeFit, users can search experience and practice in hundreds of different rooms, in WeFit system partners in Hanoi and Ho Chi Minh City. Anytime, with just a few simple operations on your smartphone, you’ll also find your nearest collection calendar with enough subjects like yoga, zumba, boxing or gym. Indus OS has revolutionized the mobile industry by introducing the World’s First Regional Operating System. The Indus OS currently supports 12 major languages and is intended to digitally connect the next 1 billion people in the emerging markets. Most of India’s fast-growing band of new mobile internet users mostly relies on their native tongue. Predictive typing and easy translation between languages make the regional OS a boon for a multilingual society. It is based on Android, but adapted for the frugality of data usage in India. It has its own app store called App Bazaar, which has thousands of apps in regional languages. Indus OS recently raised $5 million Series A funding led by Omidyar Network. Printerous is an online platform that produces prints and prints of the highest quality. We provide a variety of products and types of printing, ranging from printed personal photos, printed artwork, and printing for businesses, all based online. You do not have to waste time to go to the press and queue for hours, with Printerous now all easy, fast, and no hassle. For something personal and custom from your own favorite photos, present Printerous Moments. You can add a personal touch to your everyday life by printing photos from Instagram, Facebook, mobile, or desktop into an interesting product. Online marketplace Zilingo wants to help small, independent offline sellers get online. The startup provides full back-end support to those sellers, which includes an online seller center and an app they can use to upload product listings, manage inventory, schedule pickups, and do customer care and marketing. The mobile-first company had around 300 sellers on its platform at the time. Almost a year later, Zilingo has 2,000 across Thailand and Singapore. It is growing at a steady pace and has just raised US$8 million in its series A round. Existing investor Sequoia is back to lead this round, along with Indonesia’s Venture Capital and Hong Kong-based Susquehanna International Group (SIG). Singapore-based Wavemaker Partners, Japan’s Digital Garage, and Beenext (entrepreneur Teruhide Sato’s fund) also participated. Omise is Thailand’s leading online payment gateway offering a wide range of processing solutions for any business need. Our endeavor is to provide the best online payment experience that works seamlessly on both the mobile and the web. With a growing dynamic international team, we relentlessly work to set new benchmarks to the industry by optimizing easy-to-integrate functionality for our partners while at the same time, narrowing the gap that staggers between the physical and online market today. Omise looks is expanding beyond its existing borders to Japan, Indonesia and other countries across the Asia Pacific in the near future. In Thailand, online stores are still striving to have a proper payment solution because applying and implementing has never been simple and smooth. Coupang is an e-commerce company based in South Korea. Coupang is one of the largest and fastest growing e-commerce platforms on the planet. The company started by offering daily deals on services, but quickly expanded to partnering with merchants and selling physical goods. Today, Coupang offers a curated selection of diverse merchandise including baby goods, fashion, beauty products, consumables, home goods and decor, books and toys, sporting goods, electronics, and tickets for travel and cultural events. Coupang is a global company with offices in Beijing, Los Angeles, Seattle, Seoul, Shanghai, and Silicon Valley. Affirm provides loans from the point of sale so shoppers can pay for purchases across multiple months. The Affirm app lets you manage your account and payments on the go. The app also lets you buy now and pay over time for new purchases almost anywhere online and in select stores. Just request an Affirm virtual card and use it to make your purchase. Choose a store where you want to use Affirm, and enter the amount of your purchase. Round up to the nearest dollar, including taxes and shipping, and get a real-time credit decision. Choose your monthly payment plan and we’ll instantly put the funds for your purchase on a one-time-use virtual card you can use at the store of your choice. Then, make simple monthly payments to Affirm. MangoBaaz is an online platform that amplifies the voice of an alternative Pakistan. They create and handpick stories relevant to our young audience. Mangobaaz is a new media startup modeled loosely on Buzzfeed, to appeal directly to millennial needs. Most of the creative process behind its content comes from scraping trends from the internet. The idea for the company came when both were in Silicon Valley working at different startups. Ali Gul was at Benos – an event marketing automation firm – and Ali Ehsan at Okta, an enterprise security company. The team is constantly tracking comments on existing posts in an effort to understand what users want to consume. Additionally, they sometimes reach out to the community directly to solicit ideas. Halodoc is a startup of Indonesia in the form of health applications such as a first-aid kit that is always at hand with ease in keeping and checking your health & family. HaloDoc is run by Jonathan Sudharta. To call it a startup may be inaccurate. Jonathan is the son of the founder of Mensa Group, one of the country’s largest pharmaceutical and medical equipment suppliers. Under the wings of the group, Jonathan had previously launched services like Apotikantar for medication delivery, and LabConx to connect patients with medical laboratories. The app is available for Android and iOS and offers a full range of services: online consultation, medicine delivery, on-demand lab tests, a hospital and doctor directory, as well as an appointment scheduler. Minted is a design marketplace connecting you with the world’s best artists to create something one of a kind. We hold regular design and art challenges for designers and artists from around the globe. The online company makes buying custom cards easier and more affordable than ever. It crowd sources its designs for everything from wedding invitations to pillows and home goods. Minted was founded by a successful serial entrepreneur. Minted is located in a beautiful office in downtown San Franciscoand is backed by Benchmark Capital, IDG Ventures SF, Menlo Ventures, and angel investors including Marissa Mayer of Yahoo and Jeremy Stoppelman of Yelp. Minted is comprised of an experienced and entrepreneurial team. Ola is India’s most popular mobile app for transportation, integrates city transportation for customers and driver partners onto a mobile technology platform. As one of India’s fastest growing companies we ensure convenient, transparent and quick service fulfillment using technology to make transportation hassle free for everyone. 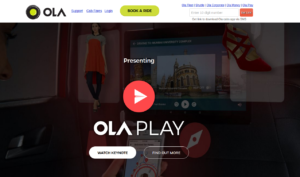 Ola’s offerings on its platform ranges from affordable AC cabs on the Ola Micro range to the superior luxury offering from Ola Lux as well as localized offerings like the ubiquitous Auto-rickshaws to Shuttle buses for daily commute. Using the Ola mobile app, users across 102 cities can conveniently book from over 450,000 vehicles available to them. aCommerce is a full-service e-commerce solutions provider, which was the first Thai start-up to break records for Series A funding in Southeast Asia with a targeted deal size for Series B of $30 million (Series B is the funding necessary to get founder liquidity and build headquarters). aCommerce is on a mission to break the logistics bottleneck of Southeast Asia. Founded in June 2013, aCommerce has offices and distribution centers in Indonesia, Thailand and the Philippines. The company provides end-to-end e-commerce solutions to bring brands and retailers in online retail, including performance marketing, channel management, platform design and development, content production, order fulfillment and warehousing, delivery and logistics, customer service and call centers. iflix is a Malaysian subscription video-on-demand service owned by Iflix Sdn Bhd, which is based in Kuala Lumpur, Malaysia. The site serves as a digital hosting and distribution platform for Western and Asian dramas obtained through partnerships with over 150 studios and content distributors globally, including Metro-Goldwyn-Mayer, Disney, Warner Bros, Paramount, NBC Universal, Fox, CBS, BBC, Sony Pictures and Discovery. Iflix is currently available in Malaysia, the Philippines, Thailand, Indonesia, Sri Lanka, Brunei, the Maldives, Pakistan, Vietnam and Myanmar. In March, 2016 it was announced that there were to expand into key emerging markets in the future. As of July 2016, iflix has 4 million subscribers. Candee is a content-focused startup that produces advertising and general media videos. The startup specializes in mobile content and operates its own small talent management studio. Candee announced a US$8. 5 million round last week. The company has been producing videos since 2015, but this is the first confirmed funding. The venture arms of Yahoo Japan (YJ Capital) and television studio TBS (TBS Innovation) led the round alongside gaming giant Gumi. As part of the deal, Gumi’s founder and CEO Hironao Kunimitsu will join Candee as the chairman of the board. With Japan’s new media landscape heating up, Candee is likely to reappear in this space before too long. Korean travel startup Withinnovation get over $118 million in bookings in 2016. That accounts to over 30,000 accommodations by over 1.8 million monthly active users. Withinnovation’s book app is called Yeogieottae which translate to “how about here” in Korean, is now the top free travel app on Google Play. To continue to target the younger market, Withinnovation has started to look into the integration of VR, AI, and IoT for a more in-depth travel experience. The travel company has expanded to over 150 employees who work around the clock to find the best lodging and tour accommodations that offer the best deals and discounts. What is great about the app is how quickly users can make a reservation while at the same time accumulating points. Withinnovation has been so successful that through the Small and Medium Hotel Innovation Project, the received the “Minister of the Future Minister of Digital Management Innovation Award”. CareerFoundry love helping people around the world build a career they love. They teach tech skills that lead to professions we believe offer Joy (personal growth), Impact (from consumer to producer), and an Experimental Mindset (learning from mistakes) offering courses in UX Design, UI Design, Web Development and iOS Development. They also teach real tools and real practices that professionals use in their daily work because we want to prepare our grads for real experiences. Their lessons are practical exercises that build a strong portfolio. They have seen that mentoring with experts and daily check-ins is a recipe for success. It’s in setting clear goals and staying on track with thoughtful feedback that learning happens. All their courses are online – all you need is a laptop and Wi-Fi – but they do require your commitment, focus and effort. From a strong relationship with your tutor and mentor, you will have the help to truly transform your career. Featured on Forbes’ 2016 30 Under 30 list, Leura Fine is the founder and CEO of leading online interior design service Laurel & Wolf. Named one of Business Insider’s “25 Hot Los Angeles Startups to Watch” and featured in notable publications such as Forbes, TechCrunch, Inc., Refinery29, and Elle Décor, Laurel & Wolf has disrupted the traditional model of the interior design industry. As the company’s hands-on leader, Leura transforms the way thousands of people live, work, and love through the power of great design. Calling itself a “real estate business disruptor”, FlySpaces bagged a number of achievements in 2016, and the company said it was looking forward to more business success in 2017. The company provides an online platform for both providers and seekers of office and rental spaces ranging from co-working and hotdesk, conference and meeting rooms, training and workshops, function rooms, interview rooms, short-term and shared office space, galleries, events places, including retail pop ups. It only charges, booking fees to space providers but not to netizens who visit the portal to get information. 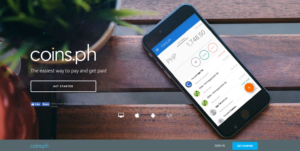 After its formal launch in Makati City last October 2015, FlySpaces expanded its online marketplace in Singapore on January 2016 raising $500,000 in fresh capital backed by Future Now Ventures and Narra Ventures both from the Philippines, Coent Venture Partner of Singapore, and also German-based real estate broker and service company Rubina Real Estate, among other investors. Then only last November, it made its presence in Malaysia acquiring co-working space platform 8spaces for an undisclosed amount. Canva is a free graphic-design tool website, founded in 2012. It has an easy to use drag-and-drop interface and provides access to over a million photographs, graphics, and fonts. It is used by non-designers as well as professionals. The tools can be used for both web and print media design and graphics their platform combines a drag-and-drop design tool with a stock library of over 1 million photographs, illustrations and imagery. You can also choose from hundreds of professional templates to create social media graphics, presentations, flyers, posters, invitations and so much more. Canva mission is to make design simple for everyone. Driven by a team of talented thinkers, an amazing culture and remarkable growth trajectory. Last-minute tickets at the best price in seconds. Gametime makes finding the perfect live experience remarkably fast and easy (especially last-minute). We curate an epic list of the most amazing possibilities your city has to offer. Once you select your event, we examine as many as 10,000 potential seats and present you with just the 50 best values – not an impossibly long list of choices. To start we subtracted printing from the equation (rendering mobile access only – no more paper jams!). We also do the hard work of searching for the right options – algorithmically examining thousands of potential tickets and presenting only the best values – not an impossibly long list of options. With payment encrypted and stored on the phone, checkout takes 9 seconds instead of the 5 minutes fans might invest filling out a web form. Quikr is an Indian classified advertising platform. It was founded by Pranay Chulet and Jiby Thomas in 2008. Headquartered in Bengaluru, Quikr has listings in over 900 cities in India in categories such as mobile phones, household goods, cars, real estate, jobs, services and education. In January 2016, Quikr announced it had acquired the real estate portal commonfloor.com in a $200 million all-stock deal and will be merging it with its real estate division Quikr Homes. Quikr is backed by Kinnevik, Matrix Partners India, Omidyar Network, Norwest Venture Partners, Nokia Growth Partners, Warburg Pincus and eBay Inc. In 2009, Quikr raised ₹20 crore. In 2014, Quikr raised about $150 million, of which it raised a $60 million investment in a round led by Tiger Global with participation from several existing investors and raised $90 million in investment in a round led by Kinnevik. As of 2014, Quikr had raised a total of $350 million from 7 funding rounds. YQ is a mobile app that allows customers to order/pay with a single tap at a myriad of restaurants and eateries, earning rewards and saving time along the way. The app has become one of New Zealand’s leading mobile food ordering solution. 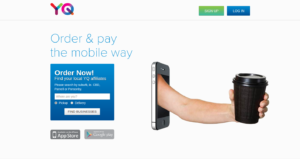 Q is the most convenient and rewarding way to order your food & beverages on the go. Avoid queues and save time when you place an order through YQ, gain loyalty points with every purchase at select stores. Select from a diverse range of cafes, restaurants, takeaway’s, catering and school lunch ordering near you. Browse through local restaurants delivering all types of cuisines including Pizza, Chinese, Thai, Indian, Italian. Choose what you want to order, make payment, you will be notified when your orders is ready for collection or have it delivered if available. Onfido is the UK’s largest provider of background checks to the Sharing & On Demand Economy, working with companies such as Deliveroo, Handy and Hassle.com. Onfido delivers next-generation identity verification and background checks, helping businesses verify anyone in the world – within seconds. Powered by machine-learning technology, Onfido’s identity verification software verifies that a person is who they say they are before running further searches such as Criminal or Anti-Money-Laundering Checks. The key difference with this industry is that its model is online and remote. Whilst traditional background checking providers are built for the offline world, Onfido applies machine-learning software and other technologies to build a system that can verify people quickly, accurately, remotely and that, most importantly, scales as they do. Cheddar is a live Post-Cable Network focused on covering the most innovative products, technologies, and services transforming our lives. Cheddar is a live and on-demand video news service, focusing on a millennial twist for business news.The network covers this news through the lens of the companies and executives driving these changes. Cheddar broadcasts from Post 10 on the floor of the New York Stock Exchange and the Sprint Flatiron Building Store. Cheddar is available on Sling, Amazon, Vimeo, Twitter, Xumo, Pluto TV, and 60 percent of smart TVs in the U.S.
Mobike founded and owned by Beijing Mobike Technology Co., Ltd. is a fully station-less bicycle-sharing system headquartered in Beijing, China. It is the world’s largest bicycle operator, and in December 2016, made Shanghai the world’s largest bike-share city. In January 2017, Mobike raised $215 million in Series D funding led by Tencent and Warburg Pincus. As described by the company, Mobike is intended to solve “the last kilometre” issue in which commuters face the problem of being stuck a bit too far from their destination to walk, but too close to justify the cost or delay of finding a taxi. Similar to Call a Bike in Germany, every Mobike bicycle comes with an internet-controlled electronic wheel lock that automatically unlocks but requires manual locking after use.Mobike bicycles are powered by a small generator installed on the rear wheel hub to power the lock. The patented disc brake is said to withstand over 10,000 kilometres of riding without failure. Mobike bicycles come in two versions, both of which require a scan of a unique QR-code to unlock. Marco Polo Video Walkie Talkie is a social media app that allows users to communicate via video messages either in real time or with a delay between messages. It’s best described as an instant messenger but done with videos, and many compare it to Snapchat’s video function. The app was also around for a while, and then out of nowhere exploded. That led to the company raising something around $100 million from firms like GGV and Greylock at a $500 million valuation. The app appears to be the flagship from a company called Joya Communications, which was founded in 2012. Joya raised $5 million last year from Battery Ventures and Altos Ventures. Please comment below which one is your favorite Startup that are on this list, or if there are others that deserve an honorable mention let us know. I think you need to add one more because you duplicate VaultDragon. Hey, we are glad that you pointed out the error. We have updated our list. Thank you! Happy to see a Bangladeshi startup in this list. Bangladesh is growing digitally!